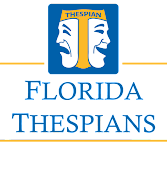 Individual Events in District 5 follow the rules set forth by Florida State Thespians. All individual events follow the General Rules as well as specific event rules. Students may be registered in a maximum of three (3) individual events (performance and technical, not including extraneous events). Each troupe can bring up to five (5) monologues, five (5) solos and three (3) of all other events. The time limit for all performance events is 5 minutes, except for monologue where the time limit is 3 minutes. to use the time to talk to the playwrights and give feedback. Technical Event in order to be eligible for a District 5 Scholarship. • Scholarship Applications should be completed and submitted with your registration packet. There isn't a link for makeup design nor sound guidelines. Hugs and Kisses from District XV. You're welcome :). I've added Makeup and Sound. Please note that most of these rule sheets are SUPER old (like 2010 old), and adjustments may have been made since then.